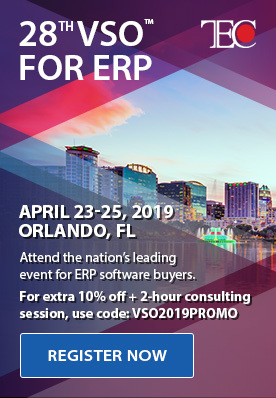 Microsoft Dynamics 365 is Microsoft’s new generation of business applications designed to unleash your organization’s potential by breaking down data silos to connect customers, products, people, and operations. Choose Dynamics 365 Business Central or Dynamics 365 for Finance and Operations, add Dynamics 365 Customer Engagement for your CRM needs and you’ll have an all-in-one business management solution which will streamline and connect business processes, improve customer interactions, and enable growth. Everyone’s searching for ways to cut costs without sacrificing performance. Microsoft Dynamics 365 can be deployed on-premises, but it’s also designed to shine in a Cloud environment. By making use of the Microsoft Azure Cloud for your ERP, you can cut back on most of your IT expenditures. Your cloud provider will take care of hardware, support, maintenance, upgrades, and security. Microsoft’s industry- leading security, privacy, compliance standards, and 99.9% uptime guarantee, afford you the peace of mind you need to get on with the business of your business, knowing that your data is secure and readily available from anywhere in the world. If yours is a global organization, you will appreciate the ability to host your ERP solution on Azure in virtually any data center in any country. A large expense for any ERP solution is user licensing. Having a subscription-based Dynamics 365 licensing structure will be beneficial for most organizations. You’ll have all the use you need at a predictable monthly cost. If your company grows, your licensing can easily be upgraded to meet the new demand. On the other hand, if you scale down, you can remove users at any time. Dynamics 365 also has team member licenses which allow you to provide limited capabilities to users who don’t need the full ERP access or range of features. A huge advantage of the Microsoft Dynamics 365 ERP/CRM solution is its built-in integration with other Microsoft products that your team uses every day. They can often work directly within their Microsoft Office applications such as Outlook and Excel, saving time and improving productivity. This familiar work environment will eliminate the biggest challenge to ERP and CRM success – lack of user adoption. Many apps have started to offer APIs for Dynamics 365 with sophisticated integration framework led by Web Services. You can connect to almost any third-party app without middleware or coding. Microsoft’s next step will be a common data model that standardizes data among applications. Mobility is no longer an option. More and more, business is being done in places other than the office. Your team needs to know that it can have access to the information and processes they need, wherever and whenever. With Dynamics 365, you can connect to your system using any Android or IOS device. Work from home, from a client’s location, from a job site, or from a hotel or coffee shop around the globe. The functionality will be the same as if you were working at your office desk. On-premises upgrades have often been a large expense and a big hassle. This is especially true if your ERP solution has many customizations and add-ons. With Dynamics 365, upgrades are done automatically, in the background, without downtime. Your system will always be up to date with the latest releases. Microsoft is committed to innovation. Cortana Machine Learning, Microsoft Power Platform that includes Microsoft Flow, Power BI, and PowerApps are making it easier for organizations to forecast and strategize, connect systems and communications, and customize their world. Now, you can easily build mobile applications without being a real developer. Using templates, even non-techies can build power applications without writing a single line of code. 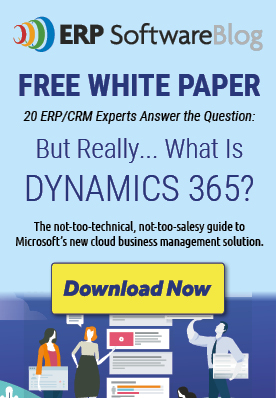 Could you benefit from Microsoft Dynamics 365? Contact our experts at Western Computer and let us show you other ways that Dynamics 365 can transform your business.